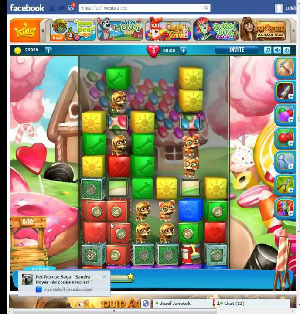 These Pet Rescue level 228 cheats and tips will help you beat level 228 of Pet Rescue. The objective of Pet Rescue level 228 is to save 10 pets and get 18,000 points. Pet Rescue Saga level 228 is another paint can heavy level. Use the paint cans to paint your pets’ way down the level. Just make the blocks under your animal friends the same color and collect your match. This will save you a great deal of stress instead of worrying about matches the old fashioned way. As you get down the level and pick up more pets, you’ll find them stack quite high. This is not a bad thing. At the bottom portion of the board, use a rocket to send to highest tower of pets free to the ground. This way you save a ton of pets in one swift move. Can You Guess The 90s?